The Joint Admission and Matriculation Board, JAMB has revealed that the printing of exam slip for the 2019 UTME will begin on Thursday, 4th April, 2019 ahead of the main JAMB CBT Exam which is slated to commence on April, 11th 2019. The printing of JAMB Exam slip is to enable candidates to know the exact exam date, time and venue/center for their JAMB-UTME exam. According to the JAMB Board, from 4th of April, candidates will have their slips placed on their JAMB profiles. However, those who are unable to access their slips through their portal can visit the board’s service portal; www.jamb.org.ng to print the slip. According to Dr. Benjamin, the postponement follows the suspension of 14 Computer-Based Tests centres due to irregularities during the conduct of Mock UTME, including an incident where JAMB staff were attacked at one of its centres. Please Note: If you registered for the JAMB 2019, you are advised to print your Jamb Exam slip to know your centre, exam date and time. According to the board, there will be no mop-up exam for candidates who failed to appear on the date and time of his/her exams. The Joint Admission and Matriculation Board, JAMB has finally enabled the portal for printing of 2019 UTME Exam Slip. This is for candidates who did not receive their exam slips via email addresses. Please take note that the Printing can only be done using a computer system with a Printer attached to it. You are to use your phone to confirm if yours is available on JAMB portal before going to a Cybercafe to print it out. Step 2. 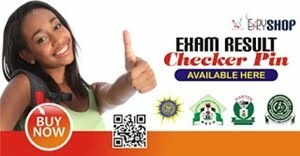 Enter your JAMB Registration Number or Email address you used to register for the exam on the appropriate column. Step 3. Click on “Print Examination Slip”, your exam slip will Pop Up on the screen. Step 4. If you already have your computer connected to a printer, just proceed to print your exam slip. If you get the above message. Please follow the step below. 3. Automatically, the pop-up of your JAMB Exam slip will be displayed on a new window, you can go ahead to print it out. Note: You are to print 2 copies of the UTME Examination Slip in Full Colour. You will submit one at the Exam Hall and you have to keep one for reference purpose. Step 1: If you get an e-mail from JAMB, simply look for an attachment that comes with the mail. This attachment is a PDF file, named most likely as your JAMB registration number. Step 2: Download the PDF file to your phone or PC system (Laptop) to ensure you now have it offline. If you have a printer at home, you can simply print the Exam Slip directly from the computer without having to visit the Business Centre/Cybercafe. Step 3: If you don’t have a printer at home, then go to any Business Centre, log into your email, re-download the Exam Slip and ask that an operator should help you print the Exam Slip. Note: Please ask the computer operative in the cybercafe if their System is connected to a printer before proceeding. Note: You don’t need to be in a hurry to print your exam slip. Nigeriaschool.com.ng believes that JAMB will release a procedure to print the Exam Slip directly from their portal. We will update the guideline on how to do that in this post. Announcement: Please be inform that not all the UTME Exam Slips have been sent, and this will go on in batches. If you have not yet received a mail from JAMB, do not panic and keep checking your email address for the mail. 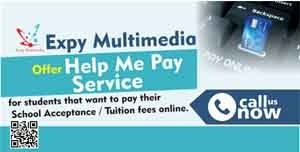 We expect JAMB to make provision for candidates who are unable to access their exam slip via email to print it from JAMB portal. Remember: The Jamb 2019 Examination will begin on the 11th of April, 2019 – See full details here. Please click on the twitter/Facebook like buttons to share this news with your friends.